much fun it will be for her when she opens the card. The butterfly part is shown about 3/4 way through the video. 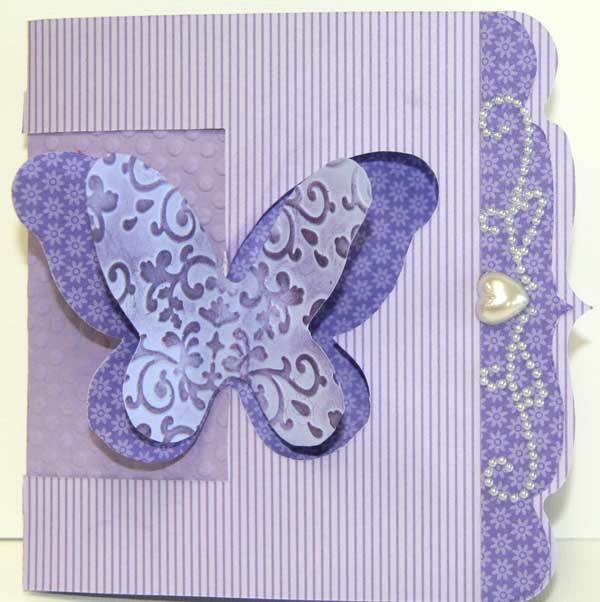 I used the new Sizzix Pop 'n Cut base plate, 658378 which also includes the swirl underneath the Sentiment and the Butterfly die 658369. It was so much fun to make. 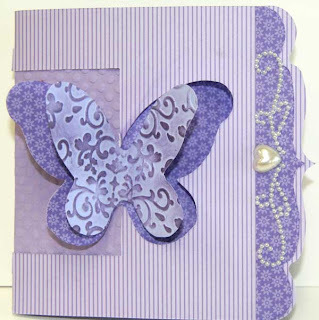 I love the card Joan,My 2 favourite things,colour & Butterflies. Your grandaughter will be in awe of this wonderfully fun card! 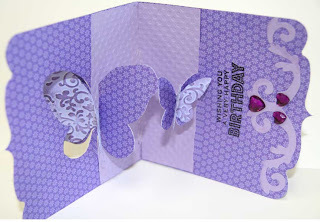 Love the lavendar and the pearl flourish on the front mirroring the flourish on the inside! Just beautiful!! !